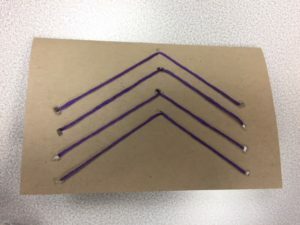 Adult Craft Night Feburary 2018. 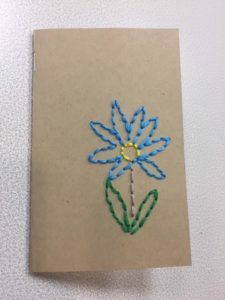 Embroidered notebooks. 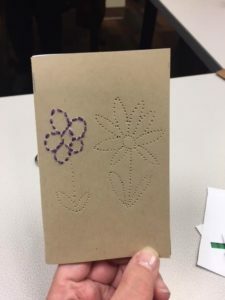 We designed and embroidered some very pretty notebook covers in adult craft night this month. 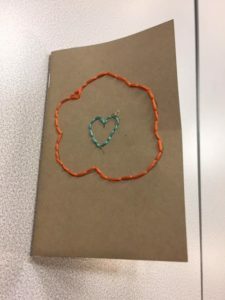 Everyone took home an embellished book to write notes or lists in. 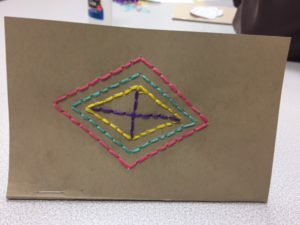 Don’t forget that we now offer adult craft once a month in the morning as well as the evening. Check the library website or call for times and dates. March craft will be a paper feather mobile, please join us if you can, it would be great to see you.